Cinematographer Benoit Delhomme explored painting from the inside out in this unconventional portrait of Van Gogh (Oscar contender Willem Dafoe). 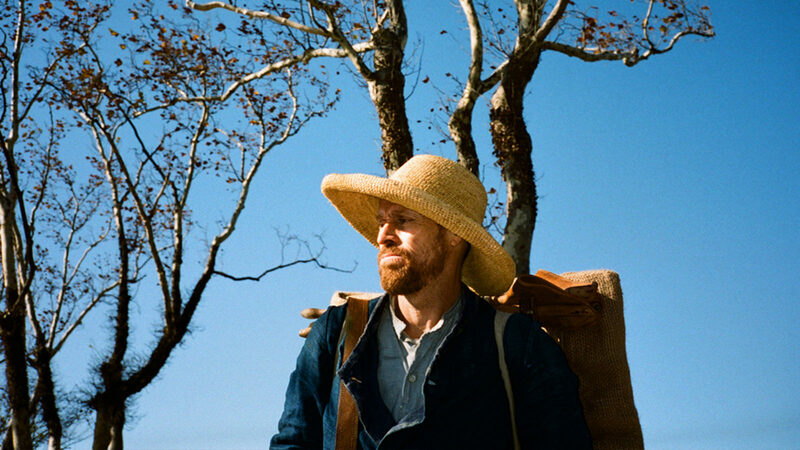 With “At Eternity’s Gate,” painter/director Julian Schnabel uses Vincent Van Gogh (Willem Dafoe) as a vessel to explore the process of painting as a snapshot in time, shared with the viewer. It’s not about Van Gogh, but how he viewed the world through his hyper-real, sculptural art. It was this kind of free-wheeling experimentation that defined the production, with the cinematographer mostly shooting handheld in natural light to capture Van Gogh’s frenzied or frightened state of mind, sometimes splitting the camera image with a diopter. For the first time, Delhomme used the lightweight RED Heloum 8K, encircling Dafoe 360 degrees to study his face, or the landscape, or the act of painting (Schnabel, Dafoe, and a team of artists painted more than 130 Van Gogh masterworks). They crucially shot in some of the actual locations frequented by Van Gogh, including Arles, Auvers-Sur-Oise, and the monastery-turned asylum at Saint-Paul de Mausole. Additionally, Schnabel asked Delhomme to shoot his own feet running through the wheat fields in Scotland, which necessitated the cinematographer making a special waist harness for the camera. These subjective shots of his feet became Van Gogh’s. To capture the different artistic approaches between Paul Gauguin (Oscar Isaac) and Van Gogh, sketching and painting the same woman simultaneously, Delhomme casts them in separate shades of light. And he does a similar thing in a more existential moment, in which Van Gogh tries to convince a priest (Mads Mikkelsen) to release him from the asylum. They discuss art and religion, and Van Gogh casts himself as a messiah of painting, whose work was intended for the future. “This scene is all about the faces, and even though it becomes quite static, the faces become a landscape,” said Delhomme. 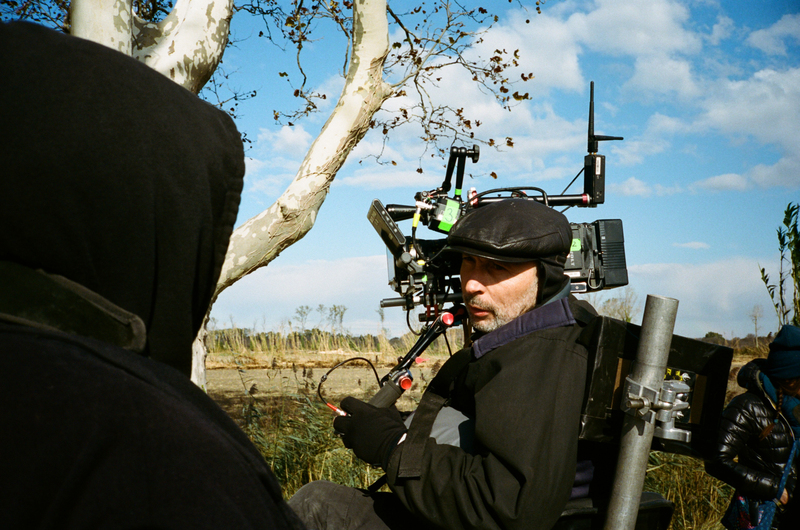 “We go from the real landscape, where I was shooting handheld, to Van Gogh talking to the priest. I was trying to find incredible things.